 For over 15 years the Energy Clinic, day spa with pool and sauna, Hotel Atlantic Kempinski Hamburg. welcomes guests to meet the increasing need for genuine relaxation and stress recovery. Enjoy treatments of ancient wisdom and new discoveries for inner peace and enhancement of energy levels. A different treatment at a special price is available every so often. As a much-appreciated gift or for your own needs, you can buy vouchers which are redeemable any time within 2 years. Two is company: Special packages are available for couples, mothers and daughters, best friends and other constellations. Enjoy a treatment together with your partner or make the perfect gift for a special occasion. If you need to unwind and recover your energy, try our new iPhone app. Whether travelling or at home, your peace of mind is only as far away as your pocket or handbag. Mind Hero at your service anytime, anywhere. Today’s lifestyle requires a certain cool which we tend to lose when the input becomes too great and our energy capacity overstretched. Enjoy this award-winning service, top up your reserves and regain life enjoyment.